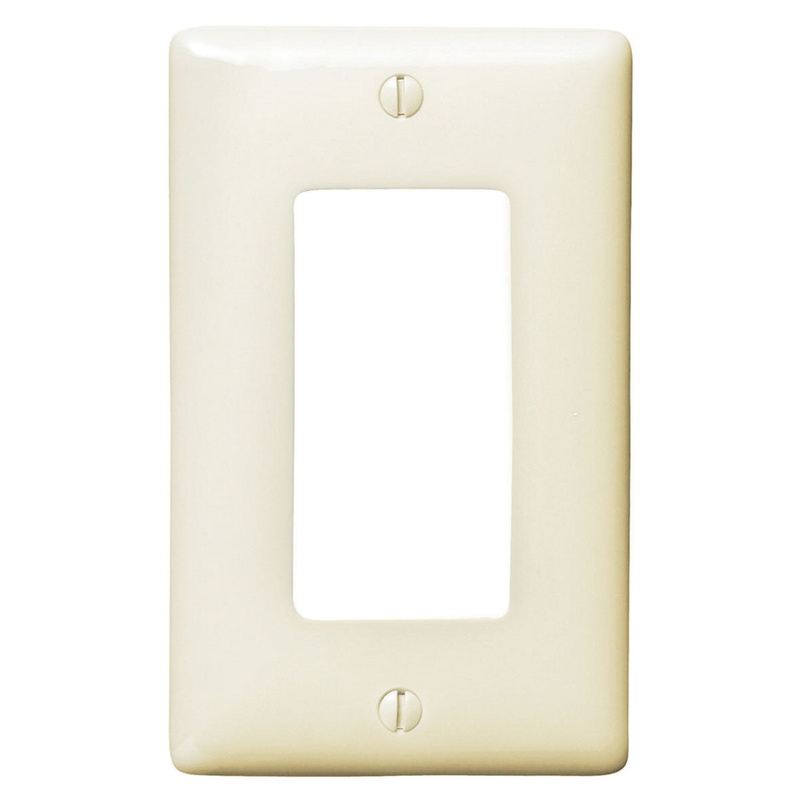 Hubbell-Wiring netSELECT® Style Line® 1-Gang Standard size GFI surge wallplate in light almond color, features high-impact, self-extinguishing nylon construction and smooth finish. The rectangle wallplate has dimensions of 2.87-Inch x 0.25-Inch x 4.62-Inch. It has one decorator configuration. Wallplate offers vertical orientation and screw mounting. It withstands temperature rating of -40 to 85 deg C. Wallplate is UL listed and CSA certified.